​Niklas Pajanti is an award-winning lighting designer whose practice ranges across contemporary art forms and performance styles including theatre, dance, opera, circus, musical theatre, comedy, events, exhibitions and public spaces. Niklas has designed for a range of leading Australian and international companies including: Sydney Theatre Company, Belvoir Theatre, Melbourne Theatre Company, Malthouse, Chunky Move, Victorian Opera, Brink, Ilbijerri, Dance North, Dancehouse, The Eleventh Hour, Ranters Theatre, BalletLab, Australian Centre for the Moving Image, Melbourne Festival, Sydney Festival, Adelaide Festival, Melbourne International Comedy Festival, Commonwealth Games Festival Melbourne, Federation Square and Waterfront City. Career highlights include designing lighting for: Helpmann Award winning production of ANGELS IN AMERICA as well as THE WILD DUCK for Belvoir which toured to the Vienna Festival, Holland Festival and The Barbican London; and lighting RUPERT for Melbourne Theatre Centre which went on to commercial seasons at Sydney’s Theatre Royal and The Kennedy Center, Washington DC. Niklas’ lighting for theatre includes: for Melbourne Theatre Company, DOLL’S HOUSE PART 2, ASTROMAN, RUPERT, THE CHERRY ORCHARD, THE BEAST, QUEEN LEAR; for Belvoir, MY URRWAI, ANGELS IN AMERICA; WILD DUCK; BABYTEETH, WHO’S AFRAID OF VIRGINIA WOOLF?, THE PROMISE, BAGHDAD WEDDING,THE PILLOWMAN, YIBIYUNG; for Sydney Theatre Company, WHEN THE RAIN STOPS FALLING (with Brink Productions), AUSTRALIA DAY (with MTC), SPRING AWAKENING, and I WANT TO DANCE BETTER AT PARTIES (Chunky Move/STC); for Malthouse ONE NIGHT THE MOON, KITTEN (with Jenny Kemp), NOT LIKE BECKETT; for The Eleventh Hour, ENDGAME (with Melbourne Festival and tour to Enniskillen International Beckett Festival), THE SONG OF THE BLEEDING THROAT, OTHELLO, KING JOHN (with Adelaide Festival); for Ranters Theatre AFFECTION; HOLIDAY (with Griffin Theatre), INTIMACY (Germany and Portugal tour Nooderzon Festival Groningen Netherlands); CROSSING LIVE and THE HIVE (Chamber Made); WHICH WAY HOME (Ilbijerri); BASS BATH (Dark Mofo); THE EXPERIMENT (Melbourne, Sydney, Adelaide Festivals); SEMAPHORE (Arts House); WHEN THE RAINSTOPS FALLING (Brink Productions); SPRING AWAKENING (The Hayloft Project/B Sharp); THE SCHOOL FOR WIVES (Bell Shakespeare); and SUNDAY IN THE PARK WITH GEORGE (Victorian Opera). Niklas has extensive experience in exhibition lighting and events including: for State Library of Victoria, VICTOR HUGO: LES MISÉRABLES – FROM PAGE TO STAGE; for Melbourne Museum, MAKE BELIEVE; for Melbourne’s Science Gallery, BLOOD, PERFECTION; for Australian Centre for the Moving Image, WONDERLAND, GAME MASTERS, WILLIAM KENTRIDGE-5 THEMES, STAR VOYAGER: EXPLORING SPACE ON SCREEN, DREAMS COME TRUE, THE ART OF DISNEY’S CLASSIC FAIRY TALES (which also showed Walt Disney Animation Research Library), TIM BURTON THE EXHIBITION (which also showed at the Museum of Modern Art New York), HOLLYWOOD COSTUME (which also showed at Victoria and Albert Museum London). Events and shows include: for the Commonwealth Games Arts Festival, Circus Events, 15 Big Top and Outdoor Aerial Rig Shows, Alexandra Gardens Area Lighting; at Federation Square, INTERNATIONAL PUPPET CARNIVAL and ADVENT CALENDAR; Shaun Micallef’s GOOD EVENING national tour; TRIPOD world tour; SPICKS AND SPECK-TACULAR and SPICKS AND SPECK-TACULAR – THE FINALE national tour; ICEHOUSE CHRISTMAS ON ICE SPECTACULAR. Niklas designed lighting for the theatre interiors of Fred Schepsi’s film THE EYE OF THE STORM. He was principal lighting designer at production and design company Traffic Light for 10 years delivering projects nationally and to Europe, Scandinavia, North America and Asia. Niklas has won 2 Green Room Awards and received 10 nominations across all categories. He has also been nominated for Helpmann Awards and Sydney Theatre Awards for his lighting design. Niklas holds a Bachelor of Arts from the Victorian College of the Arts and has a postgraduate qualification in Lighting Engineering from the Royal Melbourne Institute of Technology. He has attended the Broadway Lighting Design Master Classes in New York. Niklas has an ongoing interest in architecture, architectural lighting design and luminaire design. 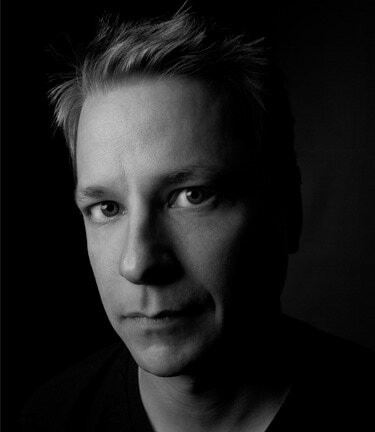 In 2019, Niklas’ lighting designs include: DUST for Dance North at Sydney Festival and Dance Massive; the world premiere of Dance North’s COMMUNAL TABLE at Brisbane Festival; SKELETON TREE for Stephanie Lake at Malthouse; MUCH ADO ABOUT NOTHING for Bell Shakespeare; A VIEW FROM THE BRIDGE for Melbourne Theatre Company; and COSI for Melbourne Theatre Company and Sydney Theatre Company directed by Sarah Goodes.